Cables are one of the most common things in the electronic and communication industry. But you cannot always depend on general cables for critical and demanding applications. At times, you will need a cable built from scratch. Or, you may need help with an application, and the stock cables will not work. In that case, you need custom cables to match your needs and usage. But do you know which cable to use? Do you know that you can get custom cables manufactured as per your need?. If you want to meet your unique cabling needs, it is essential to go for custom cables. Here is all about how you can choose the right one. If you are looking for the right custom cable, expect a wide range and connectivity and network cables to choose from. However, it is essential to look for ones that have high standards and ensure that the cables are of high quality, which meets customer requirements for reliability, performance, and cost-effectiveness. Here is a look at some of the advantages you will get by going in for a custom cable. Better Performance – Custom projects have custom needs. You cannot match specific stock specifications with them. With custom-made cable, you can get optimal performance, and have the materials and ratings you need to carry off your project successfully. Last Longer – When you are going in for custom cables, you can expect a better shelf life of the equipment. It is because the cable is made for that particular application, and understands the environment it is functioning in. It has all the attributes and ratings it would need to last in those specific conditions. Save You more money – While you may think that custom made cables cost more, it may turn out otherwise over the longer run. Yes, the other benefit to having a custom cable is that you will not have to worry about system failures anymore, as you would otherwise when you go in for short stock options. You get to Start from Scratch – Since you get to start from scratch with custom cabling, you can ensure that all the needs are met. So, you can even alter certain aspects of the existing cable to suit your equipment needs better. We will now take a look at the types of customizable cables that you can get your hands on. You can choose from different cable assembly products which include RF, copper, fiber and specialty harnesses. When choosing the cables, do go for one manufactured in industry standards. You can find simplex and duplex jumpers for all compatible industry applications. The different products under this category include simplex fiber jumpers, duplex fiber jumpers, pigtail fiber jumpers, and micro-armored fiber jumpers. The cables provide optimized optical performance with low loss connections. You can order a custom length of the cable to reduce congestion and cable stack. The cables come with a wide range of connectors such as SCA, SC, FCA, FC, LCA, LC, for supporting various applications and have extended re-mating capabilities. You can also specify the cable type you want and choose between single mode and multi-mode fiber types. The simplex and duplex cables have a of 1.2mm, 1.6 mm, 2.0mm and 3.0mm. You can order the cables in custom boot colors and custom labeling and Brady identification. You have different types of fiber cable assemblies such as single mode patch cords, multimode patch cords, mode conditioning patch cords, fiber ribbon cables, and fiber multi-count trunk cables. The single mode patch cords come with high bandwidth and performance and are Bend Insensitive. The SMF-28e cables do not lose light when the cable is bent or twisted as a part of cable management. The nanostructure technology sends the light back to the fiber core preventing any loss of signal or current. You can bend the wires without any problems and experience full bandwidth. The multimode patch cords are used for LAN applications as they cost of LED transceivers are low. You can also use them for telephony applications and other compatible purposes. The cables utilize the technology to offer a high range of bandwidth, 10 to 20 times of regular multimode patch cords. The fiber ribbon cables are ideal for plug and play applications. The cables are inspected for performance before they are shipped to increase reliability. You can choose from a full range of copper connectivity solutions to transmit electrical signals between electromechanical equipment and communication devices. The copper cables are meant to deliver high performance and come with application-specific connectors for different purposes. Copper cables are ideal for short distance applications which use relatively low bandwidth. They also have a low cost of production and can save receiver and transmitter cost. The different products in this category include Ethernet cables, office telecom cables, desktop cables, serial cables, audio/video assemblies, USB and SCSI cables. The copper cables can be used to connect various computer accessories such as printers, Local Area Networks, and monitors. They are also suitable for audio video communications such as HD TVs and set-top boxes. The company also manufactures copper cables for offices, data centers, air traffic control towers, and network divisions. Zone cabling is what you need for data centers and enterprises. The solution can provide a seamless performance over homerun cabling that can disrupt workflow when you change workstations. The zone cabling is routed through a series of consolidated points which connect to a cluster of workstations. The cabling enables the organization to reduce their downtime and costs and can be delivered on a need basis. Braided and corrugated offer high RF performance. They are suited for critical network applications over a wide range of frequency. The cables are produced with the highest standards required for WiMax and 4G LTE technologies and outdoor and indoor DAS installations. The different products under this segment include antenna jumper cables, transmission line feeder cables, mobile cell tower applications, indoor and outdoor DAS installations, and internal radius combiner boxes. The cables come with Low Passive Intermodulation and quick production lead times. They offer long-term durability as they are made with repeatable automated termination process. Now you know the different type of customizable cables that you can get, we will talk a bit about the custom cable assemblies. Cable sleeving makes cable management easier by bunching cables and making them easier to identify. The sleeving also protects the cables from hazards, liquids, chemicals, and abrasions. You have different types of cable sleeving to buy, including expandable and side entry sleeving. Expandable cables come with woven fiber which gives it some flexibility. The sleeving is solid in circumference, so you have to apply the sleeving by passing the cable through it. The sleeving is ideal for irregularly shaped areas of cables and keeps them secured inside the sleeving. You can find both reliable and expandable sleeving from Custom Cable. You need an application will determine the type you will need. Side entry sleeving is also referred to as wrap-around or split sleeving. They come with a slit, and you have to wrap it around the cable instead of feeding it through the sleeving. The installation process is more natural than expandable sleeving, and you can conveniently wrap the cable isolating the connectors without any need to unplug any cable. You can also take out any cable easily just by slipping through the slit. 2.2. How to Connect Custom Cables? If you have different types of connectors, you need different cables for matching the applications. For example, the fiber ribbon connector comes with MTP/MPO connector whereas the ribbon patch cord features MTP/APO connectors. The ribbon fan-out cables have different connectors such as FC, LC, MU, SC, and ST.
You can choose a cable with a specific connector depending upon your purpose. In the next chapter, we will explore the Custom Cable adapters. You need different types of adapters and connectors for their cables. For example, you can use coupler style adapters to establish a connection between the same type of connectors. The adapters can also help you secure an existing cable with a new piece of hardware or a new cable to an existing piece of equipment. 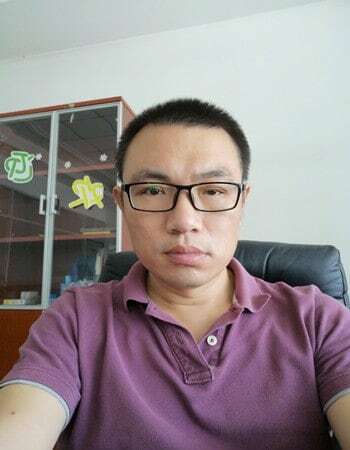 You can find different such as FAS9A-E2E2-1PM-FF-CUP, FAS9A-FCFC-1PM-FF-CUP, FAS9F-MJMJ-2PM-FF-CUP, FAS9U-FCST-1CC-FF-ADP, FAS9U-FCSC-1CC-FF-ADP and more. Wondering how custom cable services work? We will take a look at how Our PCB does it. Cloom delivers dedicated fiber and copper detail engineering for different business processes. The processes of the assembly division are used for material conformance, performance specification compliance and component and assembly design. The company employs various personnel such as process engineers so that they can create quality assurance, increase production efficiency and accommodate engineering changes. The staff helps us provide their services through tooling requirements, equipment maintenance, and process implementations so that they can serve their customers according to their needs. Cloom offers on-premise network infrastructure services to businesses of all sizes on local and national levels. The company provides its services based on time, materials, staff augmentation, unit price and contract to different customers according to their requirements. The customers are assigned dedicated account and project management team so that a consistent level of quality and service can be maintained. The company offers the services through qualified and trained personnel who are fully equipped to carry out the job. The Network Services Division and the Assembly Division collaborate on different projects to enable a single source of delivery for the customers. The projects are controlled on an auto-pilot basis starting from design and development to assembly and installation. The company derives value from its direct supply chain and integrates it with corporate commitment to serve as a trusted network partner for enterprises. The Network Services Division and the Assembly Division collaborate on different projects to enable a single source of delivery for the customers. The projects are controlled on an auto-pilot basis starting from design and development to assembly and installation. The company derives value from its direct supply chain and integrates it with corporate commitment to serve as a trusted network partner for enterprises. Cloom delivers its service through a team of qualified and experienced professionals who include technicians, project managers, Registered Communications Distributions Designers, and others. The company employs its fleet of fully equipped vehicles which can cater to emergency requirements and deployments of short orders. Cloom offers its services to different industries such as office space, retail, data centers, hospitals, distribution centers and so on. Assessment and Design: The service comprises many steps such as site surveys, design and needs analysis, implementation planning, materials selection, and wireless mapping. Implementation and Installation: The company offers copper and fiber infrastructure, wireless networks, equipment installation, sound masking, fiber splicing and testing, last mile FTTx and CCTV installations. Maintenance and Upgrade: This service involves UPS upgrades, WiFi overlays, and upgrades, network move, add or change, bit error rate testing, fiber characterization, commissioning/decommissioning and others. We have discussed the services of OUR PCB company. Now let us take a look at the solutions of OUR PCB. The company offers both fiber optic and copper connectivity solutions for broadcasting and telecommunications. The network cables are used for data centers, campuses, enterprises, and residential applications as they enable quick transfer of data. Cable technicians can use the custom cables for meeting critical network needs. The cables are also applicable for high-speed internet which requires the exchange of high amounts of bandwidth. The military uses custom cables to connect different units and secure highly confidential communication. The cables meant for military use are extra durable as they have to withstand harsh weather conditions and exposure to hazardous materials. The defense industry also uses high bandwidth optic fiber cables to transfer data and critical mission information. Cloom offers connectivity solutions for intelligent traffic systems. The solutions apply to air traffic control towers which need a quick and effective exchange of information and data. Various manufacturers make use of Custom Cable solutions in their facilities. The cables are used to power different equipment and assembly line machines. In the next chapter, we will talk about how it’s like to work in Cloom. Wondering how it is to work in the cabling industry? A typical day at work involves working with the team to get the materials ready for production. You have to put in around 10 to 12 hours of work each day, but the plus point is getting to meet other professionals and grow your network. You will get work in a warehouse environment with a large shift of workers. The department you are allotted depends on your qualifications and expertise. The normal shift is of 9 hours with a half hour lunch break and two 15 minutes breaks. Cloom offers a full range of network and connectivity solutions and services. The company operates under two divisions- Assembly Division and Network Services Division. They aim to provide the highest quality and service by directly dealing with the customer. It encourages a corporate culture which results in the growth and profitability of the company. We need a wide range of human resources to support their huge scale of production. They are looking to hire the best talents and promising personnel in the industry to support their business. You can get a good job if you happen to clear the interviews in a progressive and growing company. The management of Cloom is encouraging and supportive to the employees. They gather feedback and opinions of the employees before making any important decision. The leadership of the company also sends employees to trade shows and industry events to further their knowledge and skills and learn about new concepts. You can keep checking with the company website to find out if they have any opportunities or career options for you to join. Cloom is a reputable manufacturer of cables and connectivity solutions. You can design a cable according to your specifications and get it shipped. We also fulfill custom cable orders built with highest standards matching your design parameters. 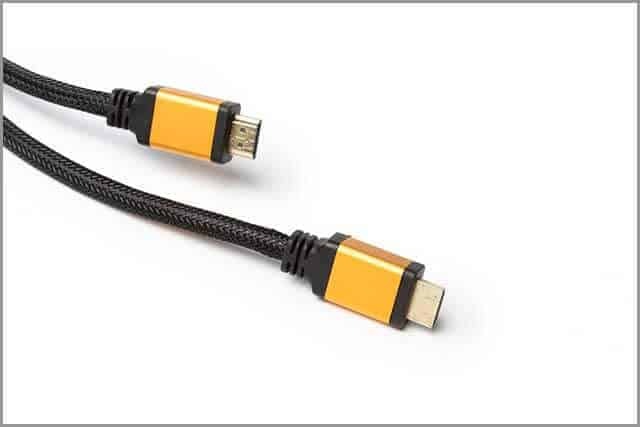 You can also choose the cable length and color and go for other customizations based on your application. Get in touch with us today to order your custom cable with your chosen connectors. We can ensure a fast production time delivering the solution when you need it.